Screw-like mounting part for indirect temperature measurement of thermally stressed moving motor and machine parts by comparing their hardness. Templugs are usually made of steel but also of nickel alloys, aluminum or composites. 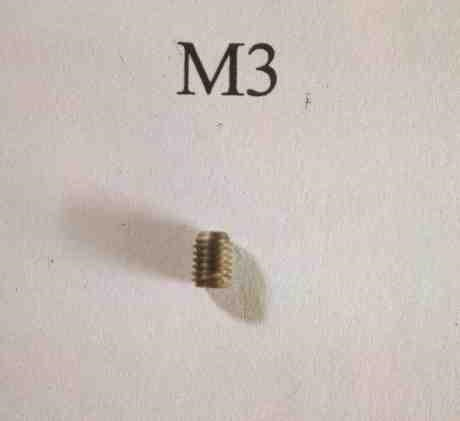 These “screws” are hardened; they are screwed into the machine parts to be tested, e.g. pistons, cylinder sleeves or cylinder heads, and subjected to the operating temperatures there usually for at least one hour. Due to tempering processes, the hardness of these specimens changes so that it is possible the determine the relevant operating temperature at a later point in time by comparison with the predefined calibration graph.